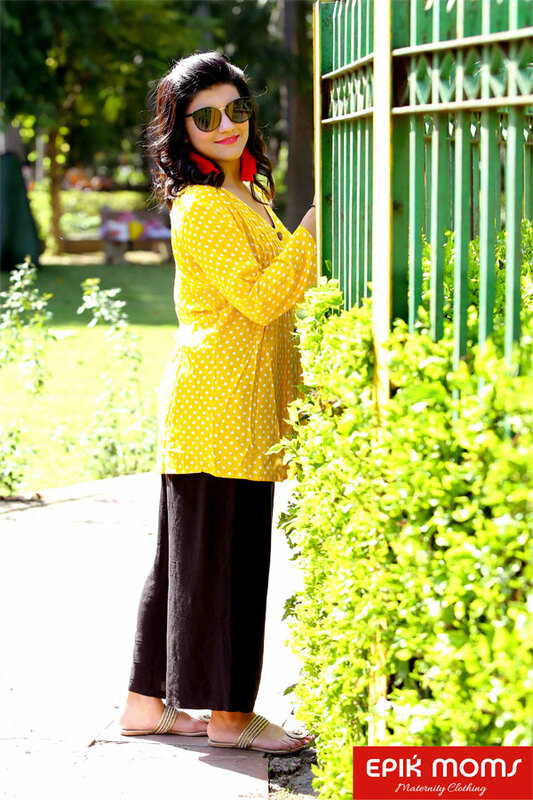 Bring some style to your summer dressing with this yellow top from EpikMoms, featuring front opening and V-neck. 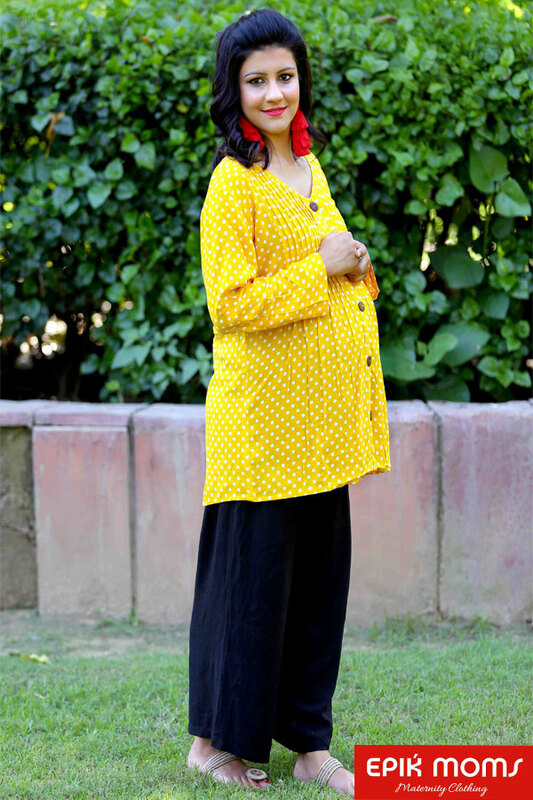 Made in classic polka print, our top is a maternity wardrobe must have. This top will keep you at ease all day long, courtesy the viscose soft fabric. Just team it with favourite tassels.